It is a privilege to welcome you to my official website. I think you'll enjoy accompanying me on the adventures I have planned. I put great care and pride into the evolution of all of my characters, and I believe the many hours put into their creation is paying off. I sincerely appreciate your support and look forward to providing you hours of reading entertainment. When I sat down to create the characters of Rex Chase and George Ahiga I had a basic outline of who I wanted them to be and where I wanted them to go. I spent many a sleepless night fretting over every detail of their existence and as I wrote what became Rex Chase: A Novel, something amazing happened. These two men, along with the other characters, started to take on a life of their own. It was almost like the story wrote itself and I just tagged along for the ride. I truly hope when you read my work you will be half as entertained as I was writing it! Rex Chase is the first book in the series and my second offering, The Sentinel, is available for purchase, while the third book in the series, The Russian, is due later this year. These books are action/adventure, but will also have an eye for Sci/Fi lovers. While writing The Sentinel I also developed an idea for a stand alone, action packed, modern military/action novel, so I wrote it! Lilacs bloom in the Midwestern city of Peoria, IL as a country’s worst nightmares become stark reality. An online video game governs live Reaper drones as they descend from the skies and pound the unassuming city, knocking out the power grid, leveling the police station and incinerating a school, as the uppermost echelon of the CIA scramble to thwart the vicious hack. Widower, father, alcoholic, retired Navy SEAL, and police Sergeant Wallace Marin survives the initial onslaught and vaults into action as the unrelenting waves of terror echo across the city. Deadly machines of war are set in motion throughout the shell shocked town as a surprise encounter with an old friend and Deputy Director of the CIA uncovers a dastardly end game led by a shadowy coalition of high ranking officials and international terrorists. After trading his freedom for the lives of his children Marin finds himself in the middle of a horrible struggle for power between men who operate above the law and with no regard for life as he defies certain death and goes on the offensive. With an impromptu team and no plan he uncovers a complicated web of lies and deceit that leads to the nation’s capital and the staging zone for the largest terrorist attack in world history. Millions of lives hold in the balance, including the President of the United States as Marin is pursued by all branches of the military and police in a race into the den of the most genius and brutal terrorist in the history of man. Click on the picture to purchase on Amazon today! All profits go to furthering education at CSD 51 in Washington, IL. 0755: The Dawn of Infamy... Check out this new book! I tasked twenty-six 8th graders in my advanced class with writing a novel, and they did it! I did have a pretty heavy hand in a lot of the story aspects and ended up having to write a number of chapters myself because of time constraints, but what we churned out is a very readable historical novel following the lives of nine characters through the attack on Pearl Harbor. The students chose Addison Brooks as their collective pen name and all profits go to furthering education at CSD51 in Washington, IL, so click on the picture to head on over to Amazon and get yours today! When writing these books I dedicate myself to a high standard of quality and creativity to ensure that you, the reader, are entertained. I want you to finish the first and want to immediately pick up the second. I'll quit writing when I don't think I can fulfill that standard. Again, I thank you for stopping by the site. Visit me on Facebook and follow me on Twitter! 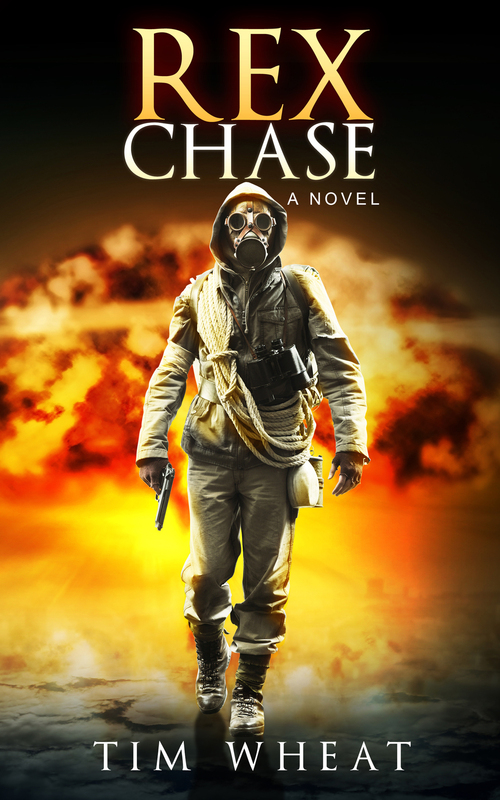 Join the other 10,000+ readers who've downloaded Rex Chase on Amazon.com! CLICK HERE!